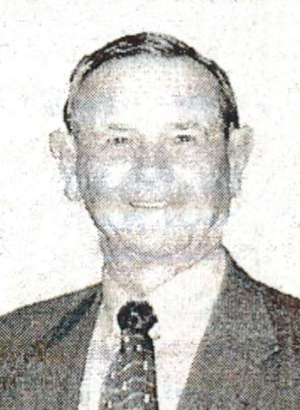 Obituary – Bamberger, Eugene Ralph « Perry High School Alumni Association, Inc.
Eugene Ralph Bamberger, 71, of Huntington Beach, CA, a chemist for Texaco, died Oct. 1, 2001, of a heart attack. Services: 11 a.m. Monday, Pacific Coast Church, San Clemente. Arrangements by O’Connor Laguna Hills Mortuary. Wife, Mabeth; daughters, Deborah Haag, Cynthia Schorr; sons, Jeffrey, Gregory, Steven; 11 grandchildren; one great-grandchild. Born Eugene Ralph Bamberger in Perry, Oklahoma, August 20, 1930. Growing up on a farm with his family helped shape the man he would ultimately become, hardworking, loyal and strong. 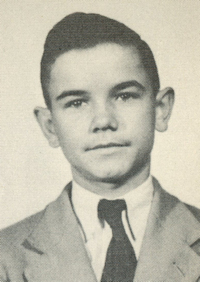 Gene studied chemistry at Oklahoma State University, obtaining a Masters degree that would ultimately take him to work for Texaco in New York. It was there that he quickly met the love of his life, Mabeth “Dolly” Cox. He knew after their first date that she was the one and only for him, exclaiming to friends that night, “I’m going to marry that woman!” Together they had 47 glorious years and 5 well-loved children. Gene and Dolly both witnessed their love and family flourish to include 10 grandchildren and 1 great-granddaughter. Gene diligently worked for Texaco for over 33 years where he was affectionately nicknamed “Chief” by his fellow employees, a term of endearment that he proudly used throughout his adult life. Chief was a great man, blessed with an enormous heart and unwavering faith. God had used him to perform many kind and generous acts, and he will be truly missed by all. Please join us for a Memorial Service for Eugene Ralph Bamberger, at 11:00AM on Monday, October 8th, at Pacific Coast Church (2651 Calle Frontera, San Clemente, CA). The service will be followed by a celebration of Gene’s life. In lieu of flowers, the family wishes that contributions be made to the “Laguna Niguel Fire Explorers” for the New York City Fire Department relief fund.